A sport utility vehicle, better known as an SUV, is a road motor vehicle that resembles a station wagon on a light-truck chassis. It is built for either on or off road use and usually has four-wheel drive (4X4) capability. Some of the best SUVs in the market have the carrying capacity of large sedans or mini-vans coupled with the towing capacity of pick-up trucks. SUV cars offer great value for money because of their practicality, versatility and sheer luxury. The best SUVs offer a good mix of handling, space, off-road ability and style. We take a look at three of the top 2012 SUV models on sale in the UK to help you make an informed buying decision. 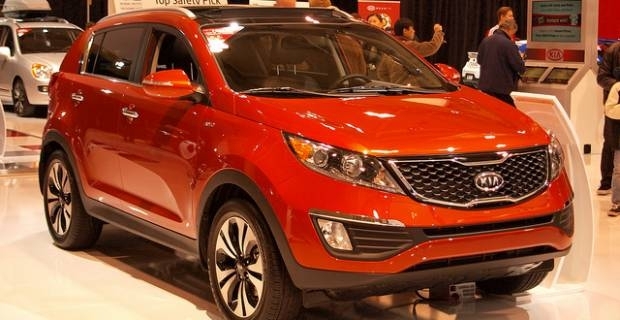 The Kia Sportage SUV is a stylish and uniquely designed car that comes in either two or four-wheel drive. It features an impressive engine option of 1.7 CRDi that returns up to 54mpg and produces emissions of 135g/km. It is also equipped with a well-packed cabin that is very practical. The Kia Sportage performs great on the open road, giving you a smooth, comfortable and quiet ride. It sells at between £17,300 and £26,930, which is actually great value for your money. The Land Rover Discovery 4 is the fourth version of this range of power utility vehicles that have been in production since 1998. This latest go-anywhere 4x4 Discovery looks very similar to the third edition, but it plays in a league of its own when it comes to beautiful, high quality cabin. It features a 252bhp 3.0-litre V6 diesel engine that gives it a powerful yet smooth and very quiet ride. The seven-seat Land Rover Discovery 4 sells at between £38,825 and £56,995 and is one of the best SUV cars because of its power, luxury and versatility. Closing our 2012 list of best 3 SUV cars is the BMW X5. The BMW X5 is a seven seat family car that is built for luxury and practicality and made for on-road use, although it has some off-road reliability as well. Its build is also of notable superior quality. The car features a pair of optional seats in the boot that are quite useful when in place and provide a lot of luggage space when folded down. Selling at between £45,070 and £83,290, the BMW X5 is not particularly cheap, but great re-sale prices are quire reassuring for most buyers. estate cars - the ultimate in pleasure driving!